GLUTEN !! Wheat products are hurting you! Get rid of them immediately! It helped save my life! If you have any of the symptoms then you need to let go of wheat period! Personally when I let go of wheat products it really improved the fatigue and brain fog I've struggled with over the last few years. This article helps explain why gluten-free diets are growing in popularity. Do you struggle with bloating in your belly after eating pasta ? Inflammation in joints? Brain fog? YOU don't have to live like this anymore! Giving up bread and pasta is very hard BUT I feel AMAZING!!! 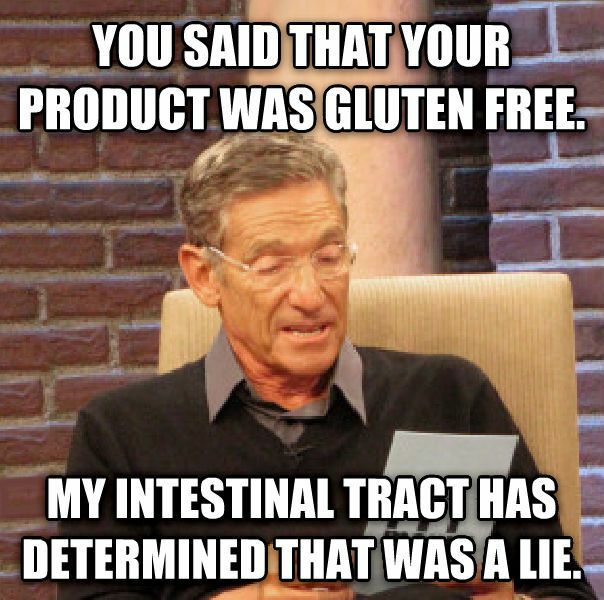 I don't want to go back feeling like crap by eating wheat products with gluten! Try it for a week and I guarantee you WILL FEEL the difference! “The real issue is all the other many thousands of components in modern wheat that could potentially impair performance,” he says. One such component, gliadin, for example, can cause brain fog and joint inflammation and pain, he says. And agglutinin, another protein found in wheat, is associated with body-wide inflammation and gastrointestinal distress, he says." Read this article! 😊 Even athletes give up the gluten! Shouldn't YOU? Live Healthy Live longer!